Fast-food chain McDonald’s has been accused of avoiding over €1 billion in European corporate taxes between 2009-2013. A report by a coalition of European and American trade unions has revealed the company’s alleged tax avoidance strategy. McDonalds paid a total of €16 million in tax on royalties of €3.7 billion for a period of 5 years (2009-2013), according to a report from the charity group War on Want. The company’s tax structure allowed McDonald’s to draw revenue away from Europe and its major markets, the report says. McDonald’s was routing revenues through a Luxembourg based subsidiary; it also moved the company’s European headquarters from the UK to Switzerland. “It is shameful to see that a multibillion euro company, that pays low wages to its workforce, still seeks to avoid its responsibility to pay its fair share of much needed taxes to finance public services we all rely on. 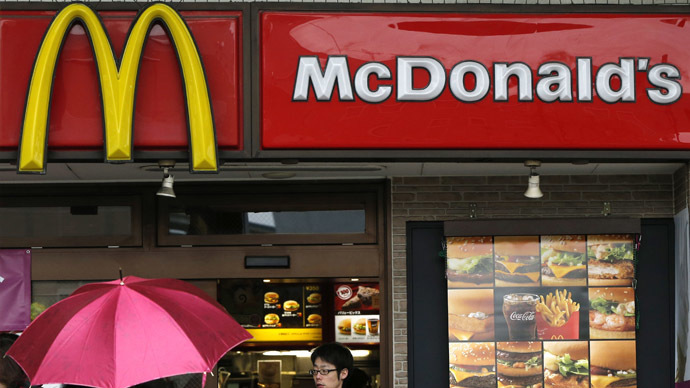 Rather than supersizing profits and minimizing taxes, McDonald's should change its recipes to ensure that corporate citizenship is at the core of its menu,” said Jan Willem Goudriaan, Secretary General of European Public Service Unions (EPSU). The coalition of trade unions called on the European Commission and national tax authorities, as well as the Special Committee on Tax Ruling to investigate McDonald’s tax practices and take appropriate measures. The company has been facing growing discontent and criticism. It has been dealing with economic hurdles, such as a number of food scandals in 2014, wage demands and intensifying competition. The fast-food chain’s CEO retired earlier in January, after nearly 25 years with McDonalds, and the company reported its worst sales slump in more than a decade. McDonald’s has been consistently criticized for low wages and poor working conditions in Europe. The company’s so-called ‘zero-hours contracts’ in the UK leave workers without any guarantee of regular work or a stable income. Low wages also impose substantial costs on taxpayers; McDonald’s workers are forced to rely on public assistance to afford food and rent.